Pollination represents a Data/Control Flow. 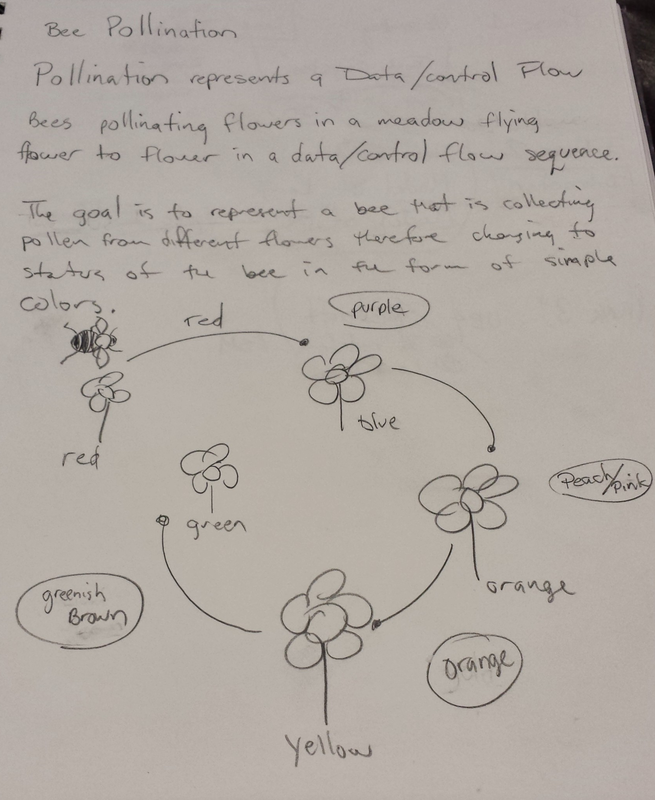 Bees pollinating flowers in a meadow flying from flower to flower in a Data/Control flow sequence. The goal is to represent a bee that is collecting pollen from different flowers, therefore, changing to status of the bee’s location in the form of simple colors. The bee cross pollinates a flower and changes the color based on its last visit.